A violent thug who battered his girlfriend unconscious and then attacked a police officer trying to arrest him has had an appeal against his conviction thrown out by Appeal Court judges. Orville Darren Lee, of Wiggin Street, Birmingham, who had a long criminal record, attacked his then partner, Sharon Nolan, in December 2013 while in a drunken rage. 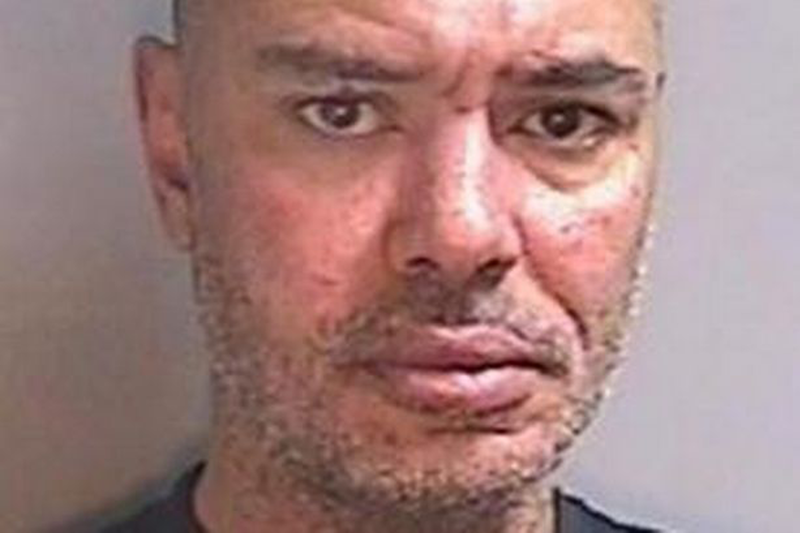 The 40-year-old was jailed for three years and nine months at York Crown Court in September last year, after being found guilty of assault causing actual bodily harm and battery. At the time he was already serving a 20-month sentence for offences of affray and carrying an offensive weapon and his total sentence was five years and five months. But his complaints were thrown out by three of the country's top judges, who said his trial was fair and the convictions 'safe'. The court also rejected an appeal against his jail term, saying it was 'justified' in light of his refusal to admit his crimes. Police were called to the victim's home and found she had suffered significant injuries when they arrived. As an officer tried to arrest Lee on suspicion of assaulting Miss Nolan, he too was attacked. Lee denied the offences, claiming Miss Nolan must have fallen and injured herself, but he was found guilty of both attacking her and assaulting the police officer. Miss Nolan was left with a degree of memory loss following the attack and suffered psychological damage. The judge who sentenced Lee said the victim was 'petrified' of him and handed him a restraining order preventing him from contacting her. The court heard Lee had a number of previous convictions - including nine for assaulting police officers. There were others for violence, public disorder and drink driving, and he was on bail for the affray and possession of an offensive weapon at the time of the attacks. His lawyers argued his conviction was 'unsafe' because the judge misdirected the jury about the fact he made no comment when originally interviewed by police. But, dismissing his appeal, Lady Justice Sharp said: "In all the circumstances, we are not persuaded that there was any material misdirection made by the judge. "We are satisfied that his conviction is safe and his appeal is dismissed."